Mobile phones and the apps produced for them that enable users to get more and more from these devices have become an integral part of the modern world. The mobile phone sector is one of the most intensely competitive of any business in the world, with the major manufacturers like Samsung, Nokia and Apple constantly vying with one another to produce new model devices and apps with further innovations, to satisfy the demands of consumers. The need to stay ahead of the field also means mobile device manufacturers will be keen to team up with successful businesses in other areas, to produce apps for their devices that can build on the success of both companies – with a recent example of this being the app for motors.co.uk and Apple devices like the iPad. Just as Apple, the manufacturer of the iDevices is one of the most successful of all of the major mobile device companies, so Motors – which has only been in existence since 2007 – is one of the real success stories in the car market. Indeed it has been suggested that new and used car databases like motors.co.uk have transformed the buying and selling of vehicles in just as radical a fashion as the Apple devices have for the phone market, by enabling those who are looking for a new or used car to conduct their search instantaneously online, rather than having to do it themselves. Therefore it is no surprise that two market leaders would want to team up to create an app for Apple devices. 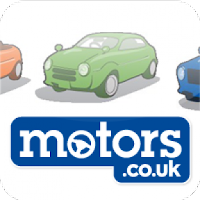 The motors.co.uk app allows people to access the information from the website from any location, simply by using their iPad device. You are provided with a set of search options, including make and model, price, colour and location and input information according to these. The location option ensures that you can narrow down the search to vehicles located within a distance suitable for you. The app is easy to use but highly effective for those wanting to know what new and used vehicles are available for sale anywhere in the UK.